The Putnam House Senior Center in Houlton is one of the non-profits in the running for a $5,000 grant through Bangor Savings Bank's Community Matters More program this year. The Putnam House Senior Center in Houlton is one of the non-profits in the running for a $5,000 grant through Bangor Savings Bank’s Community Matters More program this year. People can vote for the non-profit of their choice on the bank’s website. 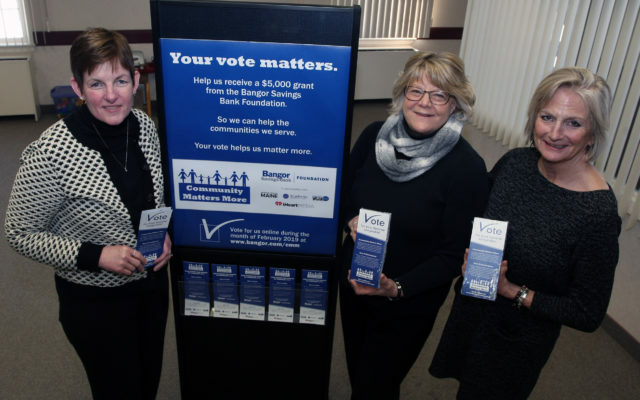 Encouraging people to vote for the Putnam House are, from left, Christine Nickerson, senior relationship manager at Bangor Savings Bank in Houlton; and Lori Weston and Jane Torres of the Putnam House.